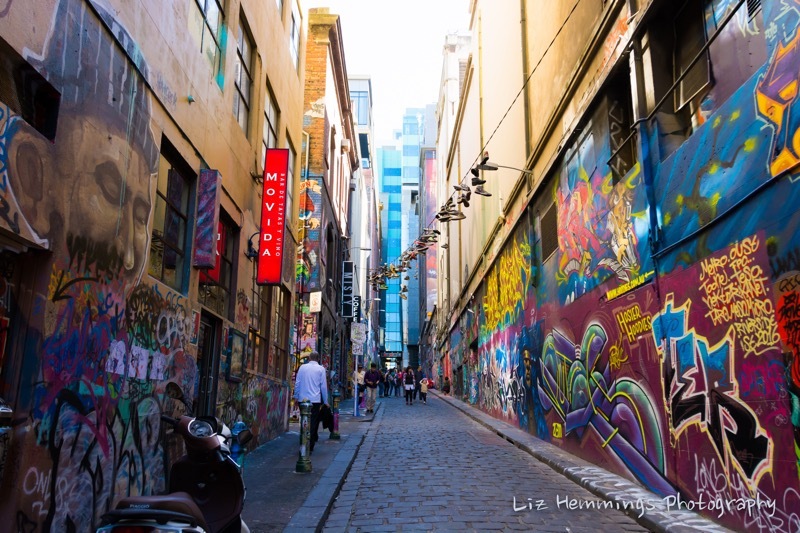 I recently took a short trip to Melbourne with a friend and as we were planning our shopping and cafe experiences I wanted to fit in some street photography especially of the famous graffiti lanes. 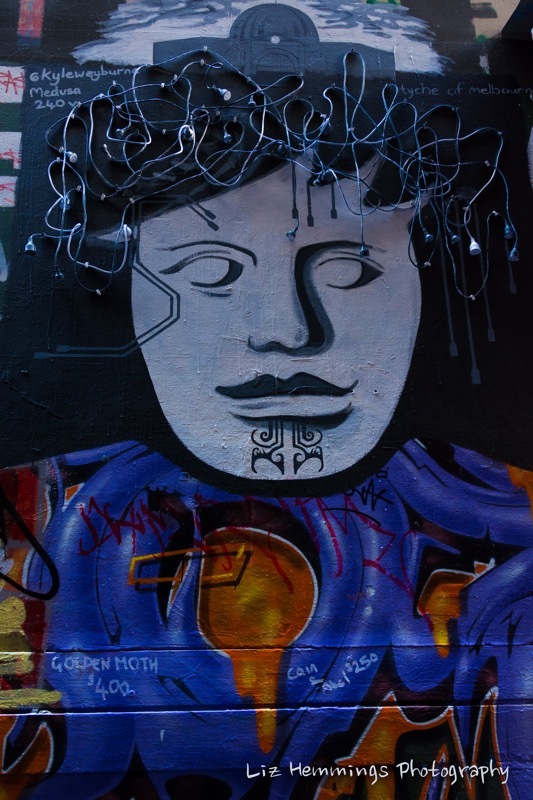 I am unsure about the copyright issues of photographing and publishing the photos of the graffiti as it is artwork but I assume the artists place their graffiti there to be enjoyed by all. I do think the photos being sold on the streets there of the graffiti cross the line a little. My favourite lane was Hozier Lane but it was super busy and almost impossible to get any shots without other people in them. We also found a few others that were quieter which had some interesting pieces too. One I loved used electrical cords as hair. 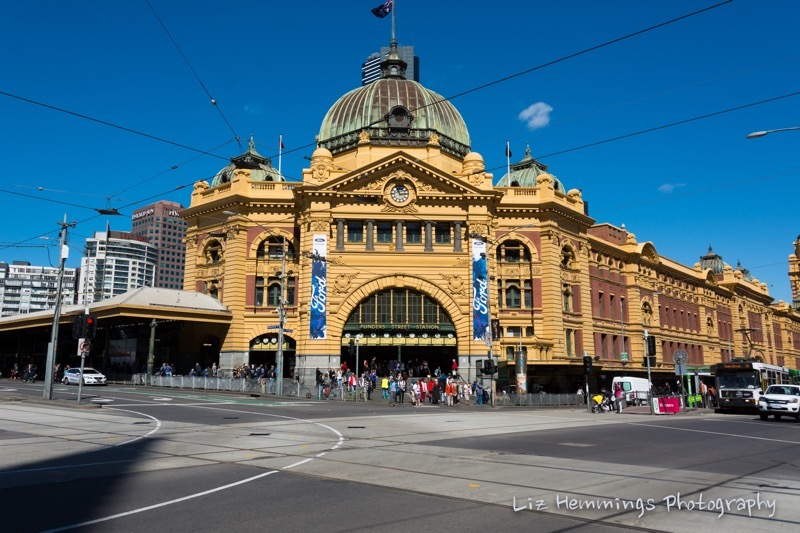 As well as the street art there are many iconic buildings to photographs like Flinders Street Station. A bit of timing with the lights and I managed a shot without any traffic. 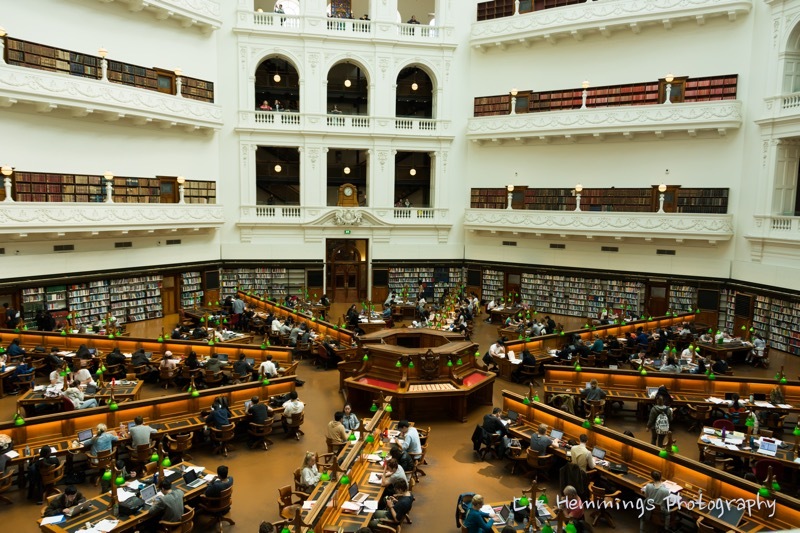 The state library is amazing inside. I loved the ceiling and the symmetry of the main study area. 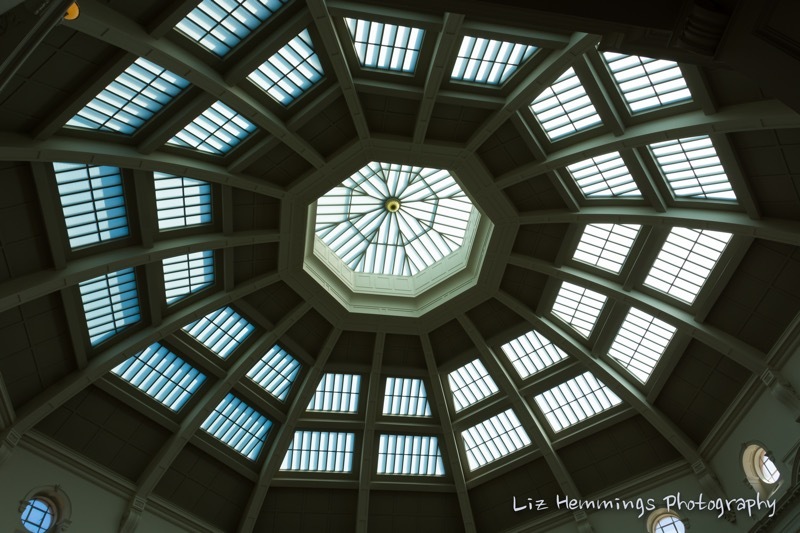 The concentric circles that make up the ceiling of Melbourne Central Shopping Centre is pretty cool as well. I love Melbourne with the free trams in the city centre making it easy to get around as well as the cool art and architecture. Not forgetting of course the great cafes, restaurants and shopping. We had Yum Cha in China town and dinner in a pub next to the Yarra. It was a fun couple of days, not my first visit to Melbourne and definitely not my last. Absolutely stunning and amazing pictures Mrs. Hemmings! I like them a lot and they look awesome! What type of camera do you use? 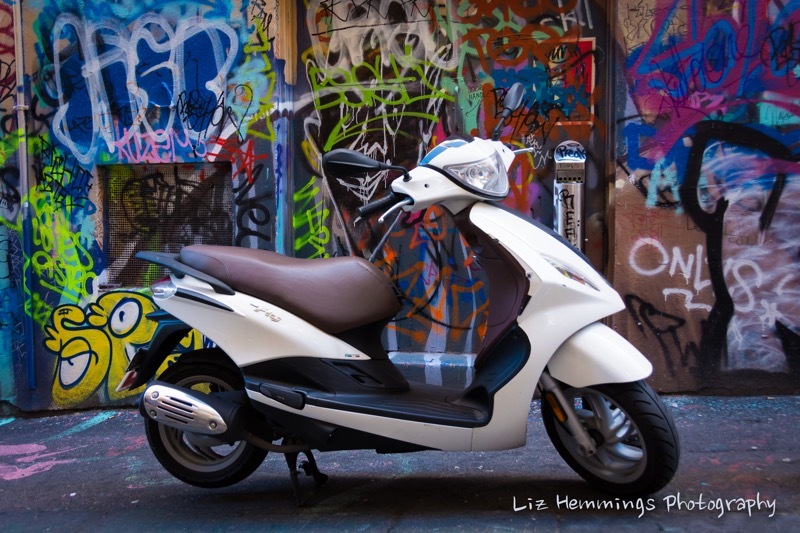 The artwork all around Melbourne is spectacular!! It’s my favourite place to go! 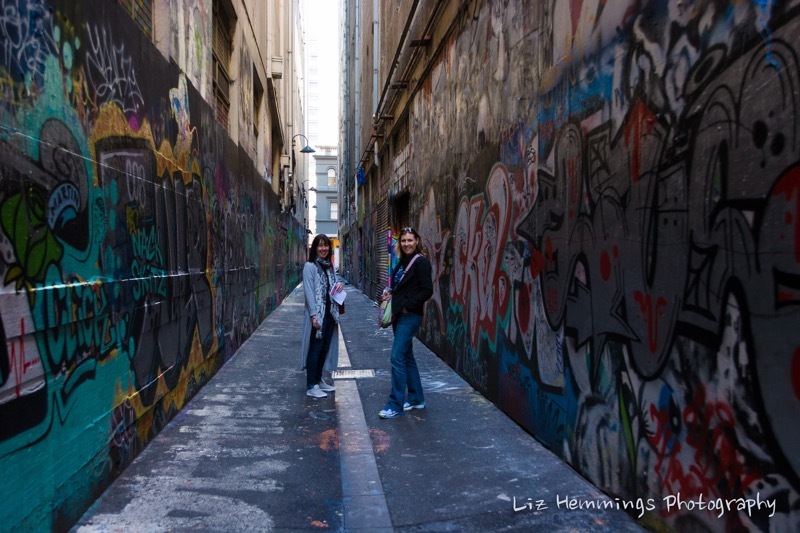 We have been a few times for our girls holiday and we find ourselves walking around taking photos all day! We’re in the Gold Coast at the moment on a girls week but Melbourne will always be my favourite! 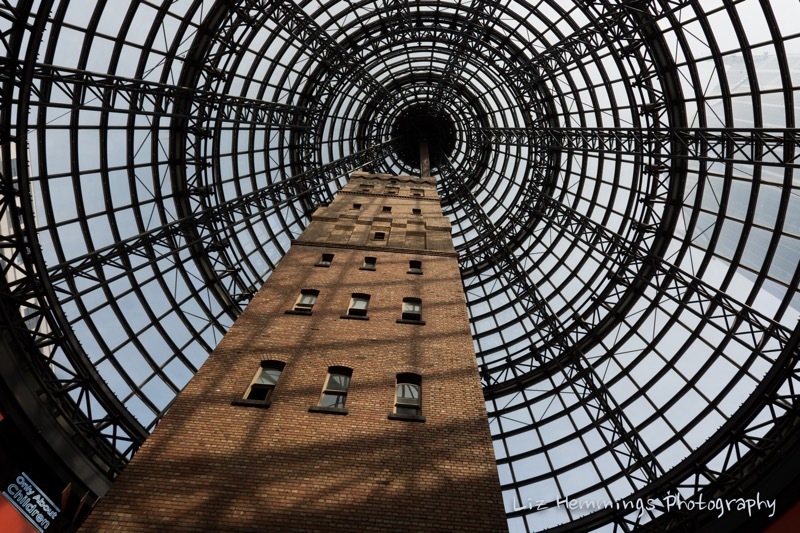 Melbourne is an amazing city to visit and your photographs are truly beautiful.. Next time you visit have a look at the Melbourne Museum and go to St Kilda where you will also get some great photos. Enjoy your school break and time with the family. I love the graffiti art. The streets and alleys appear so clean. Could you tell what material was used to create the creepy hanging baby? Thanks. I’m not sure about the baby. It seemed like it was stitched together. Your photography is phenomenal! I love looking at your pictures. I had to write a paper about a small photographer in my photo imaging class and I did mine over you. It was so easy to be passionate about it because I have been following you for years. I got interested in your photos when I started listening to 5SOS. Your action photos of them captivated me and all I ever wanted was more. While I was looking through your website for my paper, I became very intrigued by the hanging baby image. I wanted to know everything about it. I looked up many articles and did tons of research to find out all I could behind it. I was so interested I began sharing the knowledge and articles with people I knew. Everyone quickly became irritated that I would not shut up about the hanging baby. Thanks to you, I gained knowledge of another culture. It was an interesting experience and I will keep the knowledge forever. I will also continue to look at your photography in hopes of being inspired again. I love your photography, keep up the great work! I hope your future leads you to high places with great success! Thank you for sharing this with me. I feel so happy to know I have inspired you.